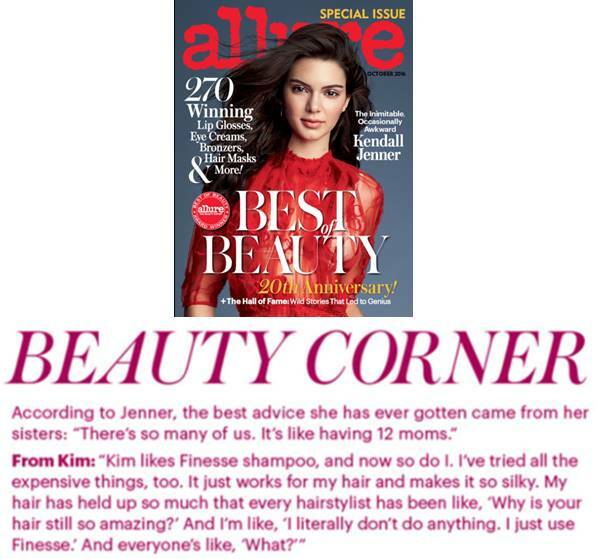 This is your chance to try Kim Kardashian and Kendall Jenner's secret to their amazing hair, Finesse! 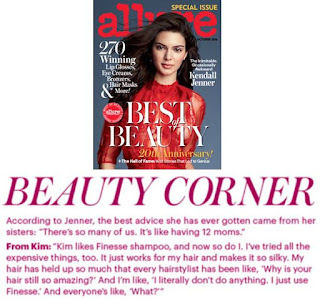 Kendall shared that she found out about Finesse from Kim in the October 2016 Allure Magazine, and now it's your turn to see if it works for you too! Specially formulated for hair that’s dry, damaged, stubborn, or sometimes frizzy, Finesse Hair Care products, infused with active proteins, replenish natural moisture, leaving hair healthier, stronger, and more alive. This hair care line is especially popular amongst women with wavy (medium curly hair). That's someone like me. My hair is wavy enough just to be annoying. Because the wave turns to frizz. Just the slightest bit of humidity in the air and my hair is all frizz. I've lived with it my whole life and I've battled it my whole life. I've found some products that worked, sure. But they are a fortune. The Restore & Strenthen Shampoo works. It's perfect for hair that is wavy and all frizz. Lather into something wonderful! Finesse’s shampoo enriches & moisturizes hair deep down to the root leaving it smooth and easy to manage. The Restore & Strenthen Conditioner leaves hair coated in a silky moisturizing shine that battles frizz away, leaving it tangle free. A moisturizing conditioner that replenishes and penetrates deep into hairs’ roots. The perfect balance between softness and manageability! 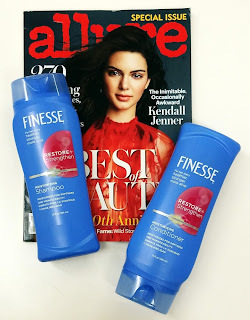 Finesse shampoos, conditioners, and styling products are available at super affordable prices at top mass, drug, and food retailers nationwide. The brand is now available at over including over 3,400 Walmart stores plus Walgreens, Rite Aid and grocery chains such as Kroger, Shoprite, HEB, and Publix. The cost is about $3.59 for each bottle. Approximately.